Cosmetic Dentist in Midtown Manhattan Offers Invisalign and Much More! Dental problems can occur in dental patients who practice the best oral hygiene. There are several factors that can contribute to dental issues, so it is important to make regular dental appointments. Dentistry has made many strides in the past 15 years – especially in the field of cosmetic dentistry. Today there are several innovative dental procedures that are not only effective – but convenient. In Midtown Manhattan, there is a great deal of demand for cosmetic dental procedures that improve the look of their teeth and improve their self esteem. Invisalign is a very popular procedure used to straighten the teeth and closes gaps between the teeth. Invisalign features clear braces (invisible braces) that are not painful as wire braces are known to be. Transparent teeth aligners are used and are not permanently cemented to the teeth like traditional braces. Invisalign teeth aligners can be removed and replaced very easily by the patient. Dental Implants present a long term solution for the replacement of missing teeth. Dental Implants can be placed into the location of a lost tooth. The process is very convenient. Root Canal is performed when the pulp tissue needs to be removed from the interiors of the tooth. In the typical root canal treatment, the cosmetic dentist removes the diseased tissue while filling the space with synthetic tooth enamel to prevent further decay. Teeth Whitening is a cosmetic dentistry procedure used to repair teeth that have become discolored due to factors such as smoking, poor eating habits, poor oral hygiene and the normal aging process. Teeth Whitening give patients confidence to smile whereas they used to be self conscious about showing their teeth. Invisalign is a commonly offered dental solution to misaligned teeth or patients with spaces between their teeth. If you are interested in finding out more about Invisalign clear braces, schedule a visit with Dr. Yelena Simkha at Prestige Dental in Midtown Manhattan – the best dentist in Midtown Manhattan NY! To make a dental appointment with Dr. Simkha call Prestige Dental today at (212) 683-4330. To get more dental tips and to find out how to keep your teeth looking great, be sure to check the Dental 5 Star blog regularly. If you would like to have that great smile that you’ve always dreamed of, call Dr. Simkha at Prestige Dental or visit us online at http://dental5star.com to find out more information about Invisalign, dental veneers and many other dental procedures that can help give you that winning smile! Posted in Good Oral Hygiene, Invisalign, Midtown Manhattan Dentist | Comments Off on Cosmetic Dentist in Midtown Manhattan Offers Invisalign and Much More! Who is the Best Dentist in Midtown Manhattan for Invisalign Clear Braces? Looking for a dentist in midtown Manhattan for invisalign braces? Do you need a root canal, same day dentures, tooth extraction, tooth colored fillings, dental veneers? Look no further – Dental 5 Star is the place you’ve been searching for. Dr. Yelena Simkha of Prestige Dental, conveniently located in midtown Manhattan, is prepared to take care of all of your dental needs. Did you have metal braces when you were younger? Did your friends have metal braces? Traditional braces are not always the solution to straightening crooked teeth. Invisalign, invisible braces, can offer a less intrusive option to many patients who experience minor jaw misalignments, slightly crooked teeth, or small gaps between teeth. 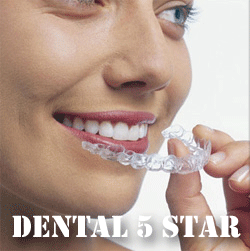 Dental professionals and satisfied dental patients report that Invisalign produces amazing results. Even though clear braces are not cemented to the teeth’s surface they can be just as effective when a dental patients wear them responsibly. Invisalign may be removed for eating or special events. Invisalign is commonly offered by experts in the cosmetic dentistry field. If you are interested in finding out more about Invisalign clear braces, schedule a visit with Dr. Yelena Simkha at Prestige Dental in Midtown Manhattan – the best dentist in Midtown Manhattan NY! Posted in Invisalign, Midtown Manhattan Dentist | Comments Off on Who is the Best Dentist in Midtown Manhattan for Invisalign Clear Braces? Are you ready for a smile that will completely transform your overall appearance? If so, then Invisalign is what you have been waiting for! While there are many options for dental patients looking for a dentist to straighten their teeth, the Invisalign system is the best and Dr. Yelena Simkha is the best dentist in Midtown Manhattan to feature the Invisalign system! The typical Invisalign dental treatment consists of a series of Invisalign aligners that are switched out every 2 weeks. Invisalign aligners are individually fabricated to the precise specifications aimed at gradually shifting your teeth into place. Each Invisalign system is custom-made to fit your teeth. With the Invisalign process in place, your dentist / orthodontist can be confident that you will have great results specific to your dental hygiene needs. Invisalign, also known as invisible braces or clear braces features a series of clear, removable teeth aligners that dentists use instead of metal dental braces. Since the Invisalign aligners are completely transparent, they are far more difficult to detect than traditional wire and bracket braces. Invisalign invisible braces are more comfortable than metal braces. Due to the removable features of Invisalign, food can be eaten without the need for bulky metallic braces. Invisalign patients are usually able to avoid many of the side effects of traditional fixed braces including issues with their gums. Invisalign’s clear braces are removable and eliminate the needs for traditional brackets and wires. Invisalign clear braces can be removed to eat, drink, to brushing your teeth and to be checked by the dentist . Invisalign uses three-dimensional imaging to provide patients with a clear and easy solution for straightening teeth. Invisalign is a great option for patients who want to transform their smiles without having to wear uncomfortable and unsightly braces. The Invisalign process has been successfully implemented in over 1 million satisfied patients all over the world. Men and women who would like to make a dental appointment with Dr. Simkha to find out more about Invisalign or any other dental procedures can do so by calling Prestige Dental today at (212) 683-4330. To get more dental tips and to find out how to keep your teeth looking great, be sure to check the Dental 5 Star blog regularly. If you would like to have that great smile that you’ve always dreamed of, call Dr. Simkha at Prestige Dental or visit us online at http://dental5star.com to find out more information about Invisalign, dental veneers and many other dental procedures that can help give you that winning smile!